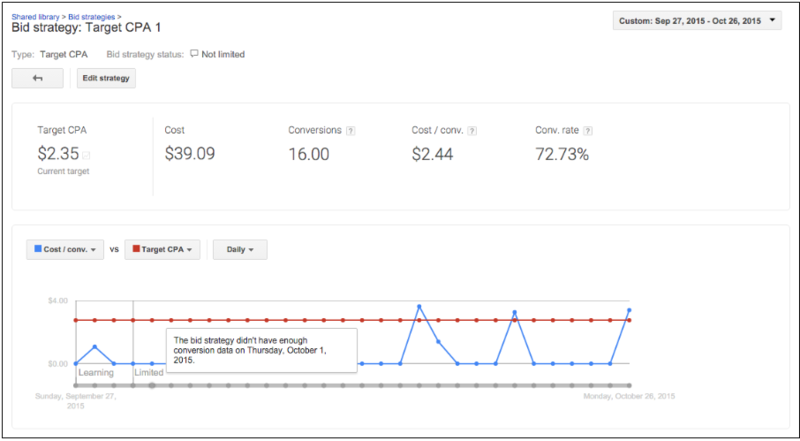 Google announced they have three new reports for AdWords advertisers to use to help stay on top of their bids and automated bidding. The new status annotations lets you keep track of your bid strategy statuses by showing you "days left for learning" in your learning status. Google said, "This indicates that the bidding algorithms are still calibrating and how much longer you should wait before making any other changes or evaluating what baseline performance looks like." 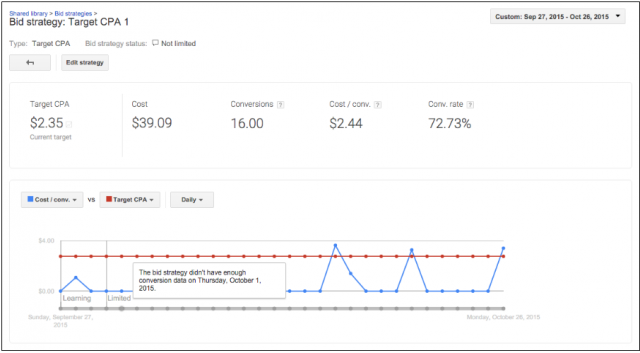 If it is set to "Limited (bid limits)" Google will show you what percentage of impressions or spend is limited to help you understand the extent of the performance impact.